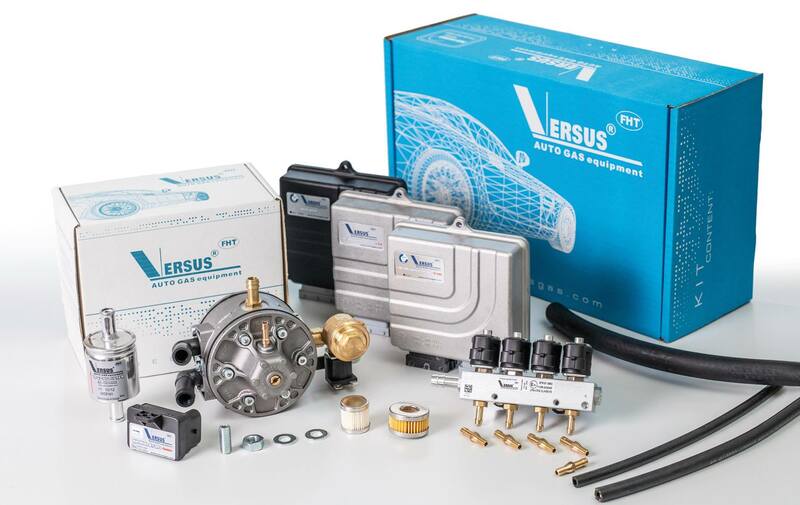 Welcome to the website of FHT VERSUSGAS - designer, manufacturer and supplier of components and solutions for alternative fuels in the area of Gas Injection Systems automotive conversions. Dear Customers, We would like to introduce completely new website. Simplier and much faster than before. From this website you will learn about our range of products and services we have on offer, find necessary technical information, conditions and rules of cooperation with our actual and future trading partners. Designer, manufacturer, developer and supplier of products and technology for the automotive industry in the field of LPG, CNG/NGV and other alternative fuels. 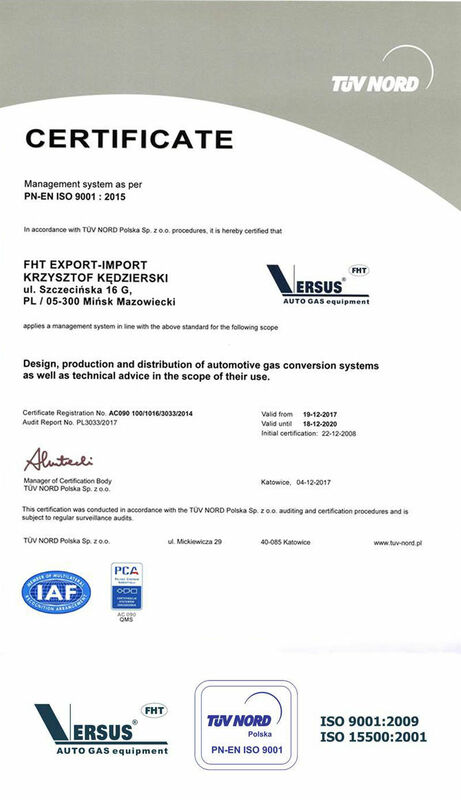 Since 1991 our company operates within the polish market and is a leader in the CNG/LPG conversion industry. We strongly believe that in any business development there should be no limitations. VERSUS GAS hereby invites potential partners to try and discover Polish technology of innovations and functionality. Our engineers are ready to meet the most sophisticated expectations. Recognition of individual ideas on joint projects – all individual business partners require individual attitudes. Every market needs a different identity of the products. Close cooperation leads to right targets. Thanks to their feedback we can offer solutions proven in thousands of vehicles. Mutual exchanging of the knowledge, participation in training and listening to different ideas has allowed us to continue on our path of excellence. Last but not least: to end users of the VERSUS GAS systems, whose satisfaction is still our main target. We are certain that there are a lot of opportunities for cooperation and that there are more institutions and companies that could be our potential partners. We pay our attention to long-standing cooperation and warrant satisfaction to any institution that strives to do the same. Should you have any vision of cooperation, it would be our pleasure to become familiar with your expectations. We will try to find a way to put your proposals into force. • Personalized solutions for B2B customers in the area of Sequential Injection System and auto gas installations.